Avail is an Android application only service, primarily catering to ones with minimal or no access to credit in India. The market that the company targets has little to none credit card penetration and there is a lack of structured credit history to identify potential borrowers. A large segment of the Indian population resorts to availing credit from informal sources at high interest rates and we intend on being a trusted partner instead. 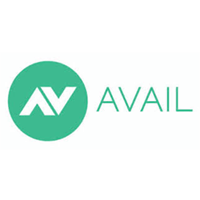 With our mission of making credit available to anyone worthy of it, we at Avail, are looking to create an accessible financing and lending ecosystem in the country. By solving for the core of the problem in not having a credit history, using advanced technology, data sciences and artificial intelligence, we are bringing a new approach to an age-old problem. The huge chunk of people in the urban mass who are currently being ignored by the formal lending sector will stand to benefit from Avail’s solutions. We are able to disburse loans with the customer sitting in the comfort of his/her home in a quick and hassle-free process. We are incorporating educational elements into our application with various modules to teach the end-user on salary and its components, how to check one’s credit score and its importance, etc. We hope to build user engagement while educating.